On Sunday 8th July Thurlestone Hotel will be holding their annual Gin and Jazz Afternoon. The main sponsor of the event is local Salcombe Gin, however they will have up to 14 other gins available on the bar for you to try. Below you will find more information on just some of the gins they will have and the best Fever Tree Tonic to mix them with. Salcombe Gin is is handcrafted on a beautiful 450l copper pot still at their own distillery in Salcombe. Each batch is distilled with an unrivalled passion, care and attention to detail then blended together with Dartmoor water to produce an exceptional gin. 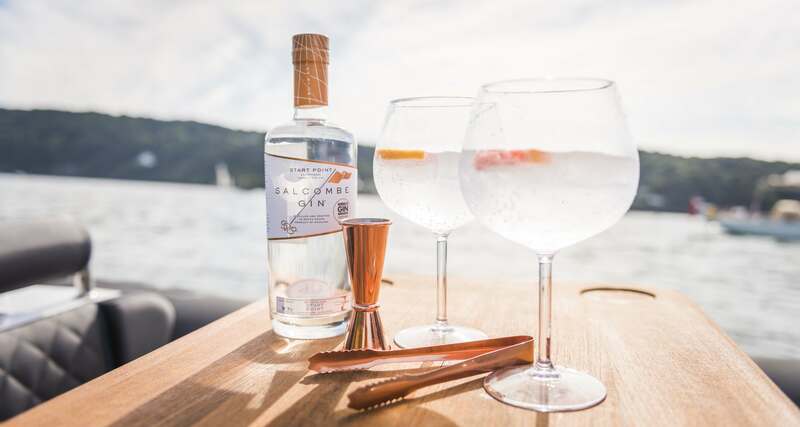 Salcombe Gin Start Point has the perfect balance of aromas and flavours FROM the heady, earthy and resinous pine notes of the finest Macedonian juniper, selected for their high Limonene content, to the warming spiced citrus notes from English coriander seeds and fresh citrus peels, hand peeled by Salcombe Gin prior to distillation. Add a pink grapefruit, Ice and Fever Tree Indian Tonic water to your Salcombe Gin for the perfect combination. After moving into a rustic barn on a rural farmstead in South Devon at the start of 2012, founder Cosmo Caddy set up a micro-distillery aptly named Devon Distillery, to produce the UK’s first and only version of grappa. Dappa has gone from strength to strength winning several awards including IWSC silver outstanding award, Two Star Great Taste award, and a Gold Medal at the Food Drink Devon Awards. When Cosmo found out his sister was getting married he wanted to make something unique for her wedding and so the concept of Still on the Move was born. ‘Ginny’ is a 1973 VW T2 Flat Bed Truck with a mobile Gin Still called ‘Prosperity’ on board. ‘Ginny’ and the Still on the Move team are available to hire to make your own gin, to your own recipe, all labelled up to the design of your choice. A gin heaven for the creative gin drinkers out there! As making gin took off, occasionally the Distillery would have some left over after a run. Despite their best attempts the team weren’t able to drink it all! Not liking waste and wanting to find a good way to use it up Kate set about making Devon Distillery’s first batch of SloeD Gin. Unique to Devon Distillery SloeD Gin is not oversweet and retains a good degree of ‘Ginnyness’ whilst savouring a depth of Sloe. Not wanting to waste a drop, Devon Distillery set about finding new ways to use their raw spirit and have developed Devoncello, a limoncello type liqueur that bonds the delicious zesty organic lemon flavour and Dappa Spirit. On the 8th July there will Devon Distillery Apple and Elderflower Gin pair it with Elderflower tonic for wonderful taste combination. Curio is produced in Mullion, deep in west Cornwall, through years of hard work, dedication, consultation and training with two master distillers who have helped us on our journey to create a delicious craft gin. Curio is inspired by fragrant botanicals and natural ingredients that reflect our culture, heritage and locality. 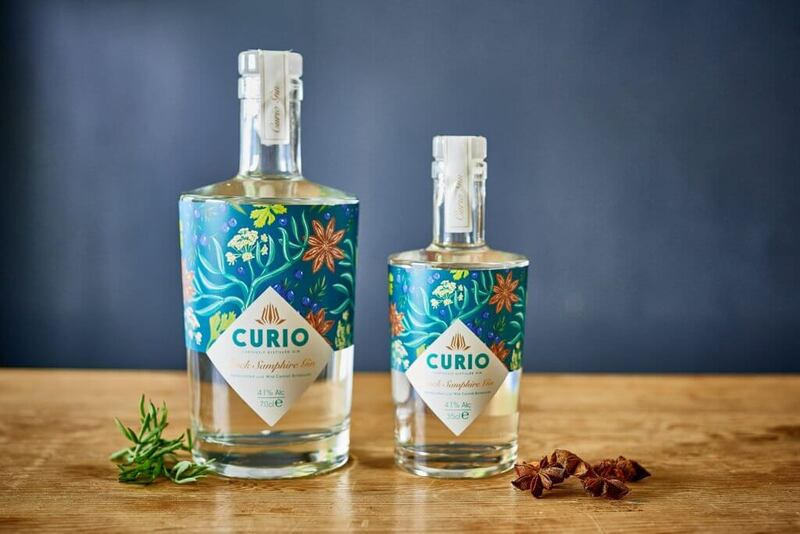 Curio: Curious by nature and Curio by name, the genre-redefining range from Cornwall includes age-old ingredients such as rock samphire and cardamom to create tipples that are curiously attractive and flavoursome with every sip. Curio introduces small-batch spirits, including craft gin, that are adventurous and selectively seducing. Mix Curio Rock Samphire Gin with Fever Tree Elderflower Tonic. Wicked Wolf Exmoor Gin™ is a premium craft gin made from botanicals distilled on Exmoor. Our 11 botanicals are individually distilled and then expertly blended on the banks of the picturesque River Lyn, North Devon. Passionate about gin, husband and wife team, Pat Patel and Julie Heap, are the faces behind the exciting new venture. Wicked Wolf Exmoor Gin uses the perfect combination of 11 exotic botanicals producing complex layers of citrus and pepper notes finely balanced with the distinct flavours of juniper and coriander, resulting in a mature, premium spirit. Hibiscus and kaffir lime leaves have been artfully blended with these traditional aromatics creating a familiar traditional flavour with a contemporary, yet restrained character. Pot distilled in a copper alembic still, Wicked Wolf Exmoor Gin is lovingly blended, filtered, bottled and labelled by hand in exclusive 100-litre batches. Wicked Wolf Gin is matched perfectly with the Fever Tree Aromatic Tonic.